Creating a slime that changes color with temperature is an easy STEM project for the home or classroom. The addition of heat-sensitive pigments (thermochromic pigments) causes the color of the slime to shift at a specific temperature. Depending on the thermochromic pigment added, the color may shift at different temperatures. Pigments that shift at 88°F (31°C) or 77°C (25°C) are recommended for this project, as some pigments require temperatures above 90°F (32°C) to shift. It is difficult to obtain the higher temperatures in a classroom setting. ¼ teaspoon borax mixed into 2 tablespoons of water. This pigment will change color from black to pink at 64F/18C, which is perfect for classroom activities. Before mixing the slime ingredients, verify the activity of the thermochromic pigment. Heat or cool the pigment to the temperature at which it shifts, verifying the pigment is active prior to using it in the recipe. If using food coloring for slimes which transform to a colorless state, make sure your color is the opposite of the pigment color. If a red food coloring is used with a red pigment, you will not be able to see the shift when the slime becomes colorless. For a red pigment, select a yellow food coloring that will not overwhelm the pigment in the recipe. Thermochromic pigment is supplied in a powder form. Take care when using the powder as it spreads easily and may stain. Do not expose the thermochromic powder to sunlight for an extended period of time, as this may degrade the molecular structure of the pigment and cause it to lose its color-shifting capabilities. Add 1 oz. white glue to a mixing bowl. Add 3 tablespoons of water to the mixing bowl and stir. 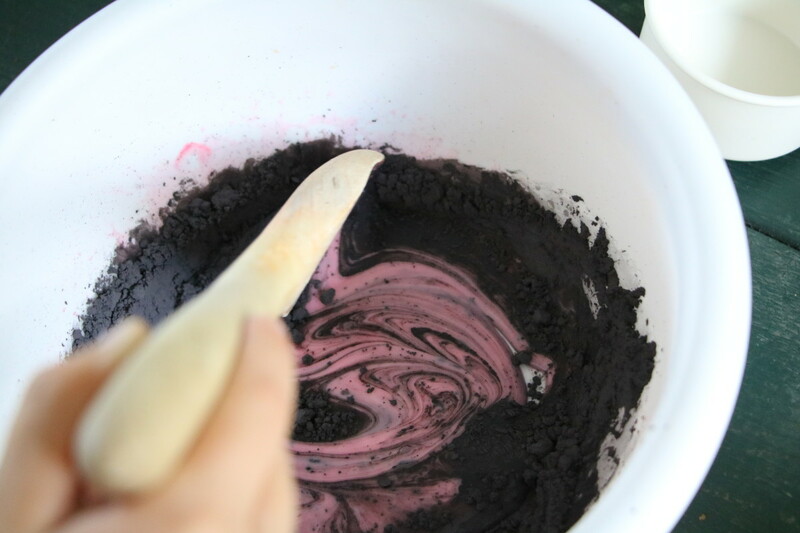 Add 3 teaspoons of thermochromic pigment to the mixing bowl and stir to combine. Mix the 1/4 teaspoon borax with 2 tablespoons of water in a separate bowl or cup. Add the borax solution to the glue/pigment solution and stir until it begins to combine. Knead the slime until it becomes cohesive and is no longer sticky. Add 1/8 teaspoon baking soda tothe mixing bowl and stir. Add 1 teaspoon of contact lens solution and stir until it begins to combine. Knead the slime until it becomes cohesive and is no longer sticky. If the slime remains sticky, add contact lens solution until it is smooth and does not stick to your hands. Change the Color of the Slime! Once the slime is completed, get your slime to change color by applying heat. On a hot day, the slimes which change color at 77°C (25°C) will be in the shifted state. Using an ice cube will cause the color to shift to the original state. The pigments that shift at 88°F (31°C) will require a heat source to shift unless the day is very warm. 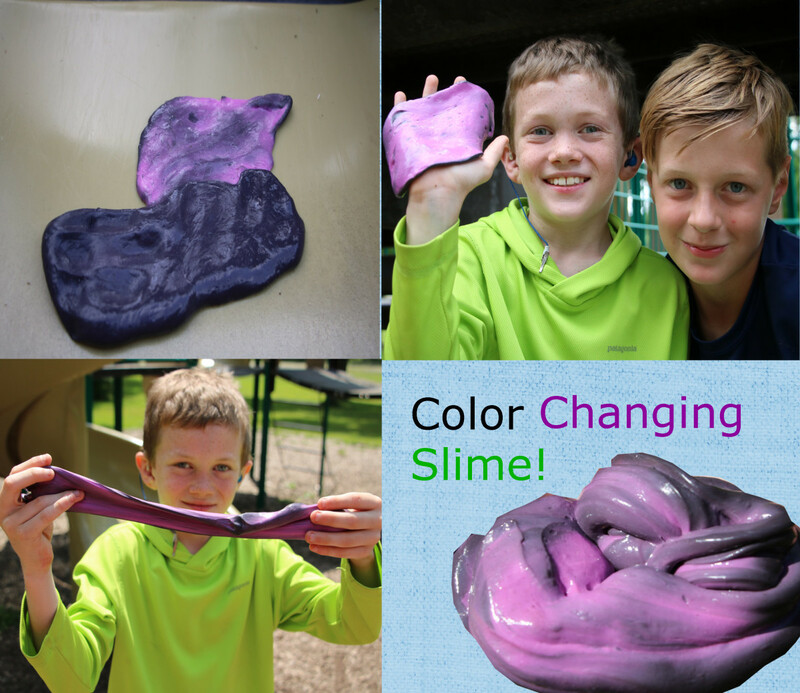 Try placing the slime on a hot playground slide or on a cookie sheet heated by the sun! Friction will also cause the slime to change color, so rolling some of the slime in your hands will cause it to shift. The color change is reversible, so you can continually heat and cool the material to watch the color change many times. Why Does the Slime Change Color with Heat? Thermochromic pigments contain a molecular structure that changes at a specific temperature, which alters the wavelengths of light it reflects. For the black changing to pink pigment, the pigment will absorb all light wavelengths until it reaches 88°F (31°C). At the higher temperature, the molecular structure shifts and absorbs all wavelengths but red/pink, which is the longest wavelength on the visible color spectrum. The reflected red/pink color is what our eyes observe when this shift happens. A pigment that shifts from blue to colorless goes from reflecting only the blue wavelength to reflecting all of the wavelengths. The capabilities of thermochromic pigments are used for simple thermometers. Another application of thermochromic pigments is in heat-sensitive paper, which allows receipts to be printed without the use of ink. Color-changing playdough. Use your favorite playdough recipe and add thermochromic pigment after the cooking stage for color changing fun! Thermocolor Paint. Use a transparent gloss medium as a base and add the thermochromic pigment. Combine thoroughly and use the paint on a mug to watch a color transformation when hot liquid is added. Color changing thermometer. Create thermocolor paints from pigments that shift at different temperatures. Paint a strip of each thermocolor paint on a white surface and label each one with the temperature where the color-shift occurs. Place the thermometer in a location that does not receive direct sunlight and observe the outdoor temperature by which pigments have changed color! Is it ok to handle the pigment frequently in the slime? The pigment is safe to handle, but should not be heated above the recommended maximum temperature in the instructions for use (this was well above 200 degrees Fahrenheit for the pigment used in the slime manufactured for this article). As with all homemade slime, care should be taken to wash hands after use as borax can be a skin irritant. Adria, you are correct! I corrected the error (thank you for pointing that out)! I also added a wavelength chart to the article. Hi Shawna, I made one batch with about six kids in my Maker Camp. We divided up the slime into zip lock baggies for them to take home. It could be divided among 10 kids per batch (with each child taking home a smaller amount), so I would at least increase the recipe by 10. You will only need one container of thermochromic pigment - it goes a long way. I used 3 teaspoons from my container and it appeared there was enough left to make another 10 batches. You will need considerably more glue and borax, but fortunately glue is the inexpensive part of slime! How much slime does this make? I would like to do this with about 100 students and I'm trying to figure out how much to buy. It is extremely fun to make, Shane. We have had a lot of fun making color-changing slime and experimenting with using different thermochromic pigments to create a slime thermometer! Let me know how your experiment goes! this project is so awesome i am totaly doing this for my stem fair project. Thank you for the offer, Eva - I don't do reviews for payment from a company or receipt of product, but your thermochromic pigment does work extremely well. A little goes a long way - I am donating some pigment to our school so they can perform a few science experiments in their new STEM project area. Thank you so much for sharing your experience with our Color Changing Thermochromic Pigment. We're so happy you like it. If you leave us a 5 Stars Product Review on Amazon, we would love to mail you another 10 grams Thermochromic Pigment for FREE. It applies to all your readers too. We love our customers. It is a great deal of fun, Karen! I recently did this recipe with our local Maker Camp and the kids really enjoyed it. 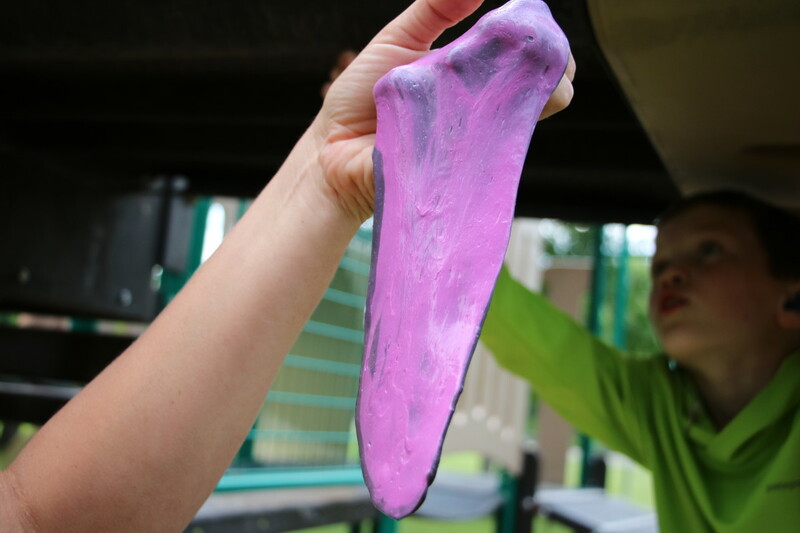 They would put it on the warm playground slides to cause the color to shift to pink, then use ice cubes to "draw" on the slime to change it back to black. They had a great time! Such a wonderful and very detailed hub. I wish I had this recipe when I was doing home daycare! I didn't have anything like this as a child, either, Peggy! I love exploring science with kids, and I hope it inspires them to pursue careers in one of the STEM fields! 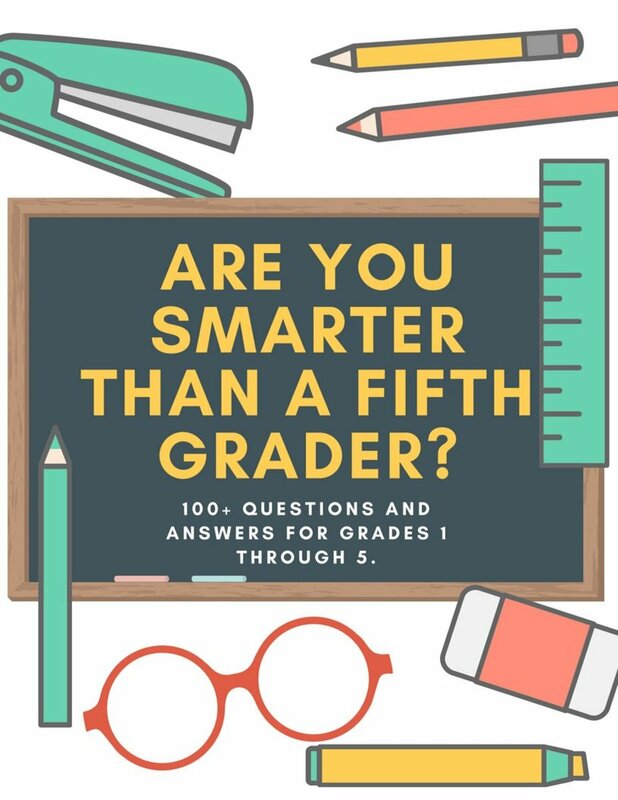 What a fun project for kids! We did not have anything like that when I was a child. I have to admit it was a long time ago! Haha! It is one of the best slime recipes we have done so far, S Maree! I have found the borax slime has the best consistency, but the contact lens version also works well. The viscosity is about the same for both formulations. The thermochromic pigments can be obtained online - there are different versions available. Some change from one color to another color, while others change from one color to clear (colorless). Jee-mi-nee! Why didn't we have such cool experiments in school? Can you show us how the different formulas behave? Is the viscosity the same? This enquiring mind wants to know! How are the thermochromic pigments obtained? You've got this geezer's attention! Good work!